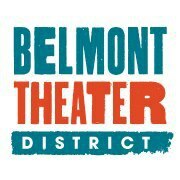 Over 50 theaters located within a 1 mile distance from the Belmont El. For more information visit btdchicago.com. Opened in 1912 as the Victoria Theatre, the Vic acts as a performing arts theater, cinema, and concert venue.